First and foremost, happy 21st birthday to Timothy Chandler today. Chandler earned his first start in his second appearance for the USMNT against Paraguay in Nashville. I was optimistic tonight when I followed the game online and saw that the U.S. had gone down 1-0 to a South American opponent in a friendly. 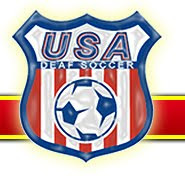 After all, on Saturday we ended the first half against Argentina down 1-0 and went on to tie the match 1-1 in a very pleasing match for the US that solidified many of our selections. Most of the same lineup that created the second half comeback against Argentina started today. Today's starters were the best of Saturday's squad: Marcus Hahnemann in goal, Timothy Chandler at right back, Jay DeMerit and Tim Ream at center backs, Jonathan Bornstein at left back, Michael Bradley and Maurice Edu at defensive center mids, Landon Donovan and Clint Dempsey at wings, Juan Agudelo at offensive center mid, and Jozy Altidore as the lone forward in a 4-5-1, just like in the second half on Saturday. Everyone was in their favorite position and I think we were all excited to see more from Chandler and Agudelo, the heroes of Saturday's draw. However, the dog of Saturday's draw, Jay DeMerit (who, along with Jonathan Spector was responsible for Argentina's goal, but had a better second half) was the dog today, too. A weak clearance by DeMerit went right to Paraguay's Oscar Cardozo, the reigning Golden Boot winner of the Portuguese league with Benfica. Cardozo doesn't miss. Cardozo put Paraguay up 1-0 in the 18th minute, for good. Near the end of the first half, Jay DeMerit was injured trying to redirect a USA free kick on target, and was replaced at center back by Carlos Bocanegra. Then, to start the second half, the exceptionally tall David Yelldell replaced Marcus Hahnemann in goal, and Jermaine Jones replaced Mo Edu at defensive mid. This was a chance for Jones to show that his horrid performance against Argentina was a fluke, rather than a genuine lack of talent. His performance today did not prove otherwise. During the first half, Timothy Chandler made several overlapping runs down the right flank, and Clint Dempsey made several runs as well. 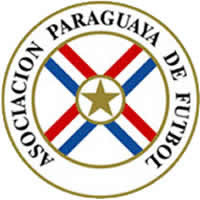 Both players were fouled repeatedly and appeared to be frustrating the Paraguay defenders. To start the second half, Juan Agudelo was tripped up in the box, but the referee opted not to call a penalty. At the 60th minute mark, Eric Lichaj came on as a substitute for Jozy Altidore. Timothy Chandler moved up to right wing, which is where he plays for Nuremberg, and Clint Dempsey moved up to forward. This may be just the formation we want to use. Now Lichaj and Chandler repeatedly crossed from the right sideline for Dempsey. Every time Landon Donovan, Juan Agudelo, or Clint Dempsey beat a defender, they were fouled, and Paraguay were shown several yellow cards. Sacha Kljestan came on for Jonathan Bornstein in the 77th minute. This move presumably switched us to a 3-5-2 with Bocanegra moving to left back, Kljestan taking over offensive center mid, and Agudelo moving to forward alongside Dempsey. Finally, Jonathan Spector replaced Timothy Chandler in the 80th minute. Chandler got a huge ovation from the crowd and high fives from all his teammates on the bench for a job well done on his birthday. The last meaningful touch of the game was a shot on goal by Jermaine Jones off a weak clearance, but Justo Villar of Paraguay made the save and the final score was 1-0. The next match for the USA is June 4 against Spain in Foxborough. Mark your calendars.